Despite how far technology has come and the fact that we’ve managed to develop predictive weather analysis algorithms and can see disaster from a mile away, it’s not always enough, and one way or another, you could find yourself trapped due to a storm, landslide or flooding. Having the best emergency preparation supplies is thus the first essential step towards surviving such calamities. Nowadays, with typhoons and earthquakes becoming more prevalent due to weather changes, you just can’t afford not to be all prepped up for unpredictable disasters. 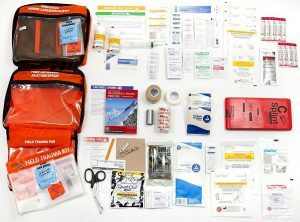 Put simply, a disaster supply kit is just a collection of the most basic items a human being needs for survival in the event of an unforeseen (or otherwise) emergency. Since it’s not always easy to predict when disaster will strike. That is why it is super worth it to have prepared for one. If you have to leave in a moment’s notice, you very likely won’t have time to search for supplies in your house, much less go out and shop for them. What’s more, you’re going to need to be able to survive on your own after an emergency. Your local area officials will be on the scene as soon as they can get there. But of course, they can’t help everyone at once. You may have to wait for hours, sometimes even days after the initial calamity for help to finally arrive. This means you’ll need food, water, and a few other supplies in sufficient quantities to last at least 72 hours. 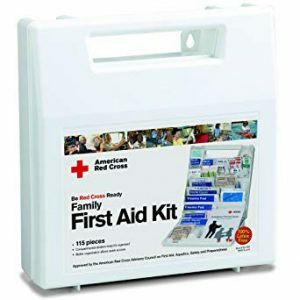 The American Red Cross, Federal Emergency Management Agency and the Center for Disease Control and Prevention all have checklists of emergency supply material that you will need. However, keeping up with them can be a bit intimidating, in terms of scope and their awful specificity. Of course, if you can follow along just fine, by all means, do, but keep in mind that it’s entirely possible to assemble an emergency kit out of the stuff you already own at home and things you were going to potentially buy, to begin with. There is never a bad time to prepare for impending danger because you never really know when it will happen. Water should and will always be your number one priority to stock on. When it comes to calamities that may possibly trap you inside your house, your survivability will depend on how much water you have stocked up on. you should know there’s no such thing as ‘enough water’ when it comes to an emergency situation. The Federal Environmental Management Agency recommends at least a three-day supply of water, that’s a gallon a day. That should be enough to cover drinking water and basic hygiene for 72 hours, at least. If you’re caught absolutely unprepared, the average volume of a home water heater is just enough to contain 32 gallons of water and the water in the toilet tank is also replaced after each flush, so it should be safe to drink. However, these are last resort options. Whatever FEMA has mandated on their website is supposed to be a rough guideline though, because, typically, you might find yourself trapped for as much as three weeks before help can arrive. If you’re pinned down to one location (your home, for example) and can’t find a way to move there’s nothing wrong taking an extra bit of precaution. If you live in an earthquake zone, for instance, stockpiling a 14-day supply of water should be a reasonable goal to achieve. The first thought that comes to most people’s minds when they think of storing water is water bottles. Those are pretty handy to have but remember you’re going to be on lockdown for what could be close to a month. Bottled water will a) not last that long b) end up being really expensive in the long run, not to mention wasteful and won’t give you much flexibility. If there isn’t much of an option, and given there’s still running water, fill old soda bottles with tap water and they should help you wait it out for a bit. Milk and juice containers in the house should be avoided as much as possible since they can easily harbor disease-causing micro-organisms. The easiest and most recommended way of dealing with a water crisis, though, is getting dedicated containers to store your water in. Rigid water containers made of blue polyethylene have the best performance than their counterpart collapsible containers both for storage and pouring. This is because medium-density polyethylene (often color-coded with blue or black) provides better shock, drop and stress resistance properties, in one word durable, than high-density polyethylene (by far the most common and cheapest). At 7 gallons, the Aqua-Tainer is quite large, much larger, in fact, than most containers you’ll find and it can hold enough water for one person to last a full week. With a built-in, break-proof handle, it should be relatively comfortable for everyday use. If you’ve used any Reliance products in the past, you’ll notice that the faucet is stored inside the cap when not in use. This effectively reduces the risks of cracking or smashing it. In our books, this is a big plus because some models were missing the faucet altogether. It also features a tethered, screw-on air-vent valve to prevent accidental leakage while in transit. If you were thinking of getting something smaller, say the 5-gallon mode, we’ll have you know the 7-gallon is the most cost-effective model from the same company. There were some initial complaints regarding cracking, and at other times leaking spigots in the 7-gallon Aqua-Tainer models of the drum, which led the company to develop a new spigot design with a plastic skirt to ensure additional threading on the cap lines, lining up perfectly with the threading on the container, giving it a nice comfortable feel. However, if you still run into the same problem, you’ll be covered by the five-year warranty every purchase comes with. Feel free to the customer care service team to request a free replacement model. Alternatively, for those who have owned their drums for a period longer than 5 years, you can get a new faucet for $5 off Amazon. FEMA guidelines stipulate that users should replace water stored in an emergency container every 90 days, a recommendation echoes by Reliance. However, this doesn’t have to be necessarily so if you’re extra keen about hygiene eg, washing your hands vigorously before filling the jug to avoid contaminating the water with bacteria and keeping the container sealed at all times. If you condition yourself to be a complete germaphobe and abide by the strictest of sanitary conditions, you can even store the water for as much as a year or store the water without treating it. If, however, you’re a true germaphobe and are concerned about contamination, use regular household bleach, retail chlorine-based compounds or a water purification tablet to treat it when you want to use it. 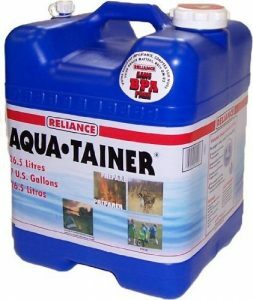 The Reliance Aqua-Tainer is a great product for a relatively small household – about one or two people should fare on just fine. However, a larger family composed of four or more people is going to have a bigger problem keeping up with the demands that come with the added size of the group. 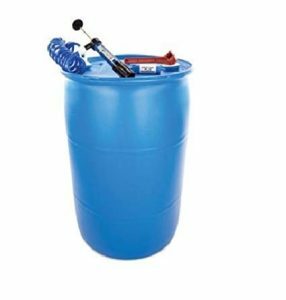 A more economical and convenient way of dealing with the problem would be to buy a 55-gallon drum. There are lots of drums to choose from, and this time around it will depend on your personal preference and how deep your pockets are over anything else, but our top picks are the Augason Farms Emergency Water Storage Kit and the Shelf Reliance Deluxe BPA Free 55-Gallon Barrel Water Storage System, which more or less posses the same specifications and you should really get whichever one is cheaper when you’re searching. Each of them works just fine, and the only discernable difference is that the Augason comes with a water purifier while the Shelf Reliance is shipped with a water filter. Despite their similarities, though, we still did prefer the Shelf Reliance because it comes with one or two extra features that give it a slight edge: the pumping mechanism is slightly more durable and the wrench provides a more comfortable grip, making it easier to turn. All the same, these are details you can definitely ignore and shouldn’t be a basis for spending an extra $10. The simpler alternative to chugging around large volumes of water in a portable pouch of water. Datrex Emergency Survival Water Pouches cost $30 for a 64-count box, each of which is 4.23 ounces, totaling 2.12 gallons. These pouches are flexible, tough and slim enough to be easily packed along with other emergency items in the bag. Sure, there are lots of alternatives out there, but what got the Datrex Emergency Survival Water Pouches on the list is that the parent company specializes in products solely meant for emergency preparedness and the product itself is pretty easy to find online and in stores. It also has the approval of the EU, US, Canada and New Zealand coast guards for use in their own emergency kits. Water purification tablets are advisable for use if your water in the drum is prone to contamination. They should also be used before drinking water extracted from natural sources such as rivers. The two most common compounds used for purifying water are iodine and chlorine dioxide, which are both pretty effective at wiping out disease-causing microbes. However, chlorine dioxide has been repetitively shown to be more effective than iodine because it can fight protozoan cysts, like an amoeba, which, should it enter your body, will wreak all sorts of havoc on your gastrointestinal tract. Even so, none of these methods are completely full-proof and the best way to get rid of germs is to bring the water to boiling temperature for a full minute or so. Some of the best chlorine tablets you can find on Amazon are the Portable Aqua, Katadyn Micropur, and MSR Aquatabs which are definitely effective at what they were designed to do, which kill germs, but Aquamira gets usability points because of their size and familiar feel to the touch. This makes them easier to handle than the other two, which are smaller and easier to drop. Aquamarine is also a fairly known brand, and is trusted by most survival schools you’ll visit. They are sold in a packet of ten each on Amazon for about $6 and should be effective for treating 10 liters of water. That should be enough for most people, but if you happen to be in a high-risk area, where emergency services will take much longer to get to, you will likely need a package of 50. If you are in a last resort type of situation, it’s very likely you’re going to have to opt for water from your heater or toilet tank. Treating this water isn’t strictly necessary, because they are usually replaced quite often, but if you’re paranoid about it or simply don’t feel comfortable drinking it, pop a tablet in the water or use a little bit of bleach. A word of advice regarding bleach, however, is that it’s much more dangerous to use and easier to overuse. It also often contains impurities that are dangerous to ingest and may have some side-effects if used for extended periods of time. Chlorine is safer and tastes much better so if you can keep off bleach, please do. Having a large drum for storing your water is all well and good, but it presents two problems: portability and usability. You may find yourself in a situation where it’s unfeasible to stay at one location (though in the event of an emergency, it’s very advisable to avoid moving around if you can), in which event, you’re going to have to move the water around, which isn’t possible with a 60-kilo drum. Second of all, you’re going to need a way to drink the water. Using the water straight out the drum is a one-way ticket to contamination, and thus the next-best alternative – a good ol’ water bottle. For an emergency situation, you’ll need an impact-resistant, leak-proof and lightweight water bottle that can easily fit into your emergency backpack, so you can’t just go for any regular water bottle. Our pick is the Hydro Flask Standard Mouth water bottle, because it is cheap, durable and well-insulated, increasing its versatility and winning itself a spot as the best water bottle for any emergency situation. If you wanna learn more about our picks for the top water bottles, click on this link. Don’t worry, we got you! The best food strategy in an emergency situation would be to fill your cupboards with canned and dried versions of foods you regularly eat. This should typically be soups, fruits, and vegetables. Other foods that are great for an emergency include nuts, dried fruit, peanut butter and pasteurized milk. Note: you don’t need to place it on the freezer. These are foods that don’t go bad easily and should be able to keep you safe from hunger for about 72 hours. During a bug out, you probably will not have access to meat or any good food. Energy bars are the most convenient items to keep in your car or in a bag you’ll be carrying around while you’re on the move. CLIF Bars have the perfect balance of nutrition taste and value to be able to make it to the top of our list. They are rich in a variety of vitamins and nutrients, a great substitute for those times you can’t get a hold of a full meal. Each bar contains around 40 grams of carbs, 250 calories, 10 grams of proteins, 5 grams of fiber and 6 grams of fat. 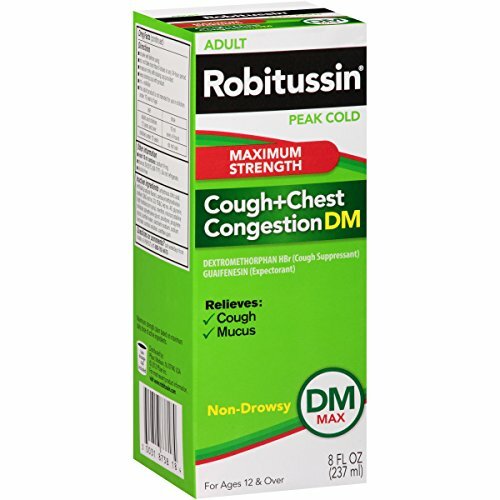 Besides, it’s highly recommended by Health.com and can last for about a year from the date of purchase without any ill-effects. There are other options to choose from, like ER Emergency Ration and Datrex which come with an impressive advantage of shelf life, but they don’t have the most welcoming of tastes. The Dartex somewhat comes out on top because it possesses the all too familiar chocolate-bar shape and comes with almost two times as many calories as CLIF bars. 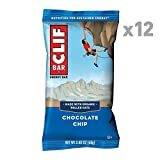 They are great alternatives if you can’t find CLIF bars, but you shouldn’t expect any comfort in them. There isn’t much to can openers, save for durability and perhaps the amount of comfort they offer. The latter characteristic, however, is easy to ignore if your life is on the line. Despite the disregard most people might have for them, all those nonperishable canned goods you’ve been stockpiling won’t open themselves. The E-Duz-It is the best piece of gear for the job in our books, balancing out price and comfort while not giving up on reliability and practicality. A grill or stove is pretty important in an emergency situation because as soon as the lights go out, your electric cooker is pretty much useless. Whether you choose a charcoal or gas unit, just make sure you have some extra fuel on hand. The Weber Charcoal Grill is an on-the-go grill that you can easily pack on inside your car or at the back of the truck. 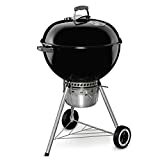 Charcoal grills are especially practical to use as when you bug-out, you may not have access to propane or gas-equipped grills. This grill is good because of its popularity with the home crowd, but the only problem is it’s way too easy to burn your food if you aren’t on the lookout. The Weber Spirit E-310 is better in some people’s books based on the fact that it’s much easier to light, but that comes with an additional cost for convenience. Very rarely enough, we may have access to propane tanks and gas when on the bug-out. 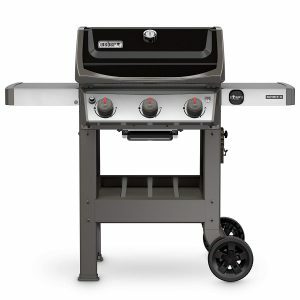 If that’s the case, the Weber Spirit E-310 would definitely give any grill a run of their money. Not having a clean water supply for keeping yourself in great hygiene has far greater consequences than just discomfort and the bad smell that accompanies it. You need to be able to keep yourself clean in order to avoid catching germs and reduce the chances of you getting infected – both common issues you should concern yourself with avoiding during natural disasters. Diseases like typhoid and other similar gastrointestinal diseases are by far the most common and easiest to spread. Overlooking hygiene should be the last mistake you make. If you don’t have running water, how are you going to take care of long and short calls? Wet wipes would be a good option, but that would still leave the problem of what to do with the excrement. Eating without getting your hands clean is just another avenue for the spread of diseases, so given the shortage of water, how do you wash your hands? Wet wipes, hand sanitizer, and thick garbage bags are some of the items your emergency kit should never miss. 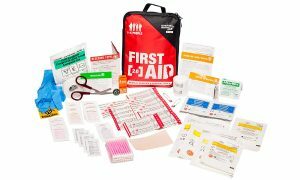 Everyone should have at least some basic first-aid skills. Aside from that, you’re going to need equipment to put everything you’ve learned into practice. FEMA and the red cross have strict guidelines regarding what is accepted into their program and what isn’t. The Adventure Medical Kits Sportsman Whitetail was able to top the list because it’s equal parts easy to use and portable enough to stash into your emergency supplies. It also comes with enough supplies to cater to over four injured people. You can get other kits for much less than this $40 one. But the superior organization and the great instructions that come with this model are what make it that much more worth paying for. At the core, the Whitetail is a direct representation of what a typical first aid kit is. It comes with gauzes, bandages, antiseptic wipes… e.t.c. and some more advanced tools like EMT shears and an irrigation syringe that’s used for cleaning deeper wounds. It is also aspirin, which can both be used as a painkiller and for treating individuals who show signs of cardiac arrest. 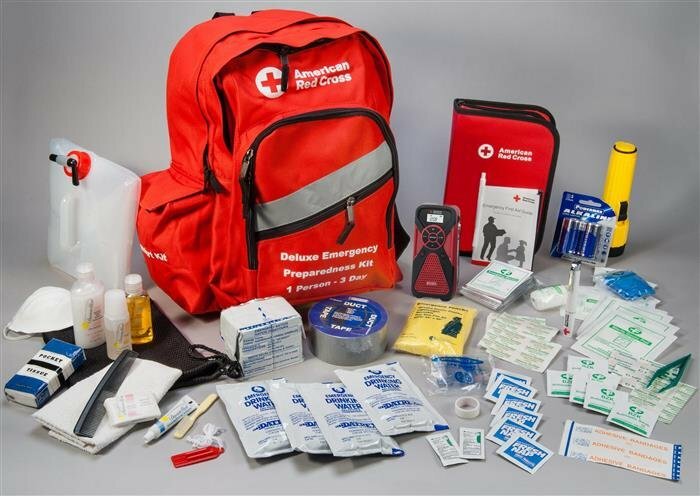 The Red Cross Deluxe Family Kit comes organized in sections based on the injury type, but the main drawback is that this kit, like most other emergency kits, isn’t well labeled and doesn’t come with decent instructions on how to work with the tools. However, it does come with a comprehensive guidebook that provides, in detail, what kind of treatment should be applied by anyone and when it’s better to wait for trained personnel to arrive on the scene. 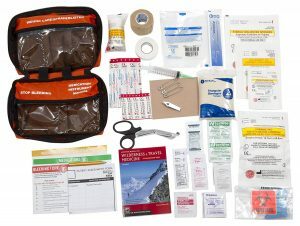 The Adventure 2.0 First-Aid Kit features supplies similar to those of the Whitetail, but despite these similarities, the Whitetail is better suited overall for when qualified help may be delayed. The problem lies with the Adventure 2.0’s lack of a detailed guidebook that covers injury treatments in depth. Additionally, instead of some items such as a compass and an emergency whistle, the Whitetail has far more useful medical hardware such as a wound irrigation syringe, EMT shears and a triangular bandage for immobilizing injured body parts. At $100, the Grizzly is a full sixty dollars more expensive than the next closest alternative. However, this is due to the fact that its chock full of items that can be used to handle more serious injuries and offers more supplies. Spending the extra money will be worthwhile if you see yourself having to deal with more severe injuries such as broken bones and serious bleeding. Such cases are better left to the pros, but if it’s unavoidable, for instance, places where access is difficult, this kit is a good buy. Just attend some classes on how to use the tools inside beforehand. For cases where the bleeding is really serious, the Grizzly also comes with an extra trauma pad, a hemostatic sponge and a SWAT tourniquet (which should only be used as a last-resort option) as well as instructions on how to use them. As such, the Grizzly is ever so slightly heavier and larger than the Whitetail. 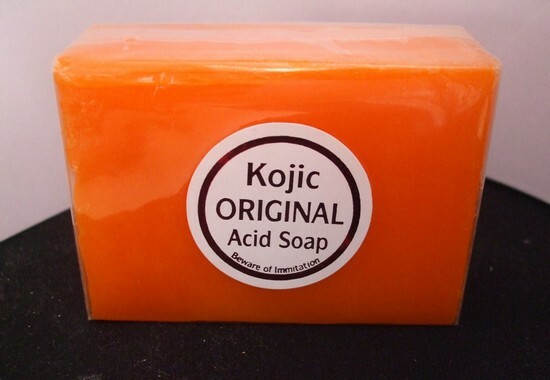 These items, can, of course, be bought separately and used to supplement whatever kit you currently use. But the Grizzly kit comes with instructions on how to use every item. Plus includes enough tools so that anyone, whether trained or not can use them properly. In the event of a fire or earthquake, debris could get hurled into the air, making for breathing unsafe. It should be noted that due to the size of microbes relative to the openings in respirator masks, it’s impossible for them to keep germs out. However, they’re useful for keeping allergens and particulate matter out of your nose and lungs. That’s where the 3M Cool Flow Respirator comes in. It comes with a valve that allow the moist air you exhale out the mask, which, despite being great for preventing glasses from fogging up, is pretty bad at preventing airborne diseases from spreading. For that purpose, the CDC recommends the Alpha Protech PFL N95 Particulate Respirator mask for preventing the spread of infections like swine flu and tuberculosis. In the event of an emergency situation where the water flowing through your body is cut off, you’ll have to find a way to ration your water. That might mean having to sacrifice some ‘luxuries’ like taking a fully-fledged bath. However, that doesn’t mean you can’t stay clean and relatively odor-free. 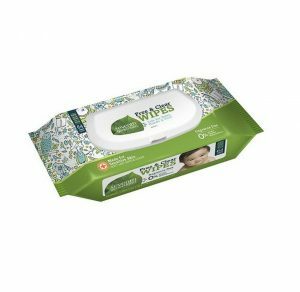 The Seventh Generation wipes are currently the best selling baby product on Amazon, but they are just as effective for cleaning adults. Getting your hands clean is important in any situation, but once the water is cut off, it becomes almost important to clean your hands. The next-best option is to use hand sanitizer. Purell Hand Sanitizer comes on top of our list because it’s high-performing. 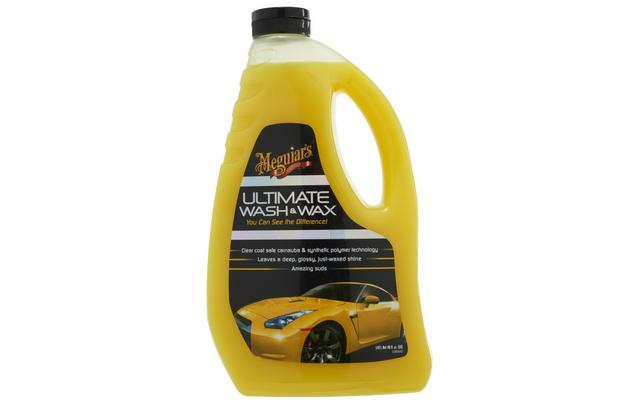 It leaves little residue, is odorless and evaporates just fast enough to the touch. 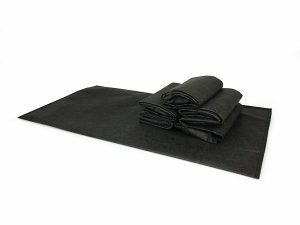 This may seem like an odd entry, but heavy-duty garbage bags are important in your kit for many reasons: you can use them for rain protection, as a bag for transporting stuff or even as an emergency toilet, when the water is out. All you have to do is line your toilet with a garbage bag, do your thing and seal it. Since there will be no garbage collection either, you’ll need strong bags that can survive the outside without leaking or disintegrating. 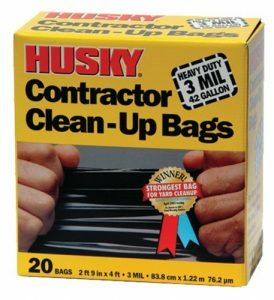 The best reviewed and professionally-recommended bags we could find were the Husky Clean-Up Bags, which offer just the right combination of toughness and value, besides which they are readily available both in stores and online. If you ever attend a basic survival school, one of the things you’ll be taught is the importance of keeping the human body warm. Well, some you may already know, like preventing hypothermia, but others, like maintaining a constant, favorable temperature for bodily metabolism may not be immediately obvious. A disaster kit doesn’t solely comprise of things you can tuck away in the cabinet and take out when disaster strike. For instance, our top pick for recommended lantern can be used on a day to day occasions as well as doubled up for extended use when disaster eventually strikes. Having no electricity is equal parts frustrating as it is dangerous and demoralizing, so you should do the best you can to get back in the light with some of these picks. It’s not exactly the same thing, but still better than nothing. 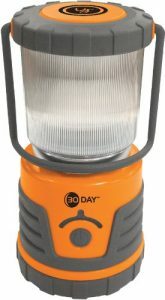 The UST 30-Day is a unique pick because, at its pricing point, it’s able to outperform lots of LED lanterns that are thrice its price. It’s just the size of a water bottle but stays quite powerful all the same, giving you a field of vision as wide as 38 feet at its brightest. Though it’s still possible read a book with. What’s more, the battery life is even more impressive, with a 720-hour life-span. A lantern or candle should be able to address most lighting needs you’ll encounter during a power failure, but in terms of portability, it’s nearly impossible to find something that’s able to keep your hands free like a headlamp. The most capable one we could find was the Black Diamond Spot – a suitably named headlamp that lets you cast a long-range spot for seeing what’s directly in front of you in the dark. Aside from which, it also has a floodlight mode that will let you cast a soft glow if you want to observe something that’s close. The last fancy feature it has is a night-vision red-light mode. It can run for up to 50 hours on maximum illumination and 200 hours in a normal setting. The problem with relying on battery power during an emergency is that once it goes out, you have no other choice but to wait it out. Sure, it’s the most reliable way you can light up a house, but just in case you run out, you’ll need a backup. A good emergency candle is one that can remain stable and burn for a long time while remaining steady. 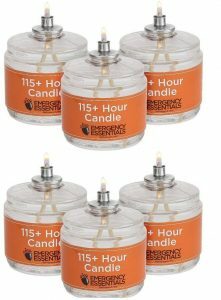 The Emergency Essential isn’t a candle in the traditional sense of wax and wick. Rather, it’s a sealed liquid-paraffin lamp that can burn odorless and without smoke for four days on end. This is four times longer than the average solid candle burns for. However, since the tri-wick canisters start to block light once the wicks burn down a bit, these candles are a poor choice for activities that aren’t advisable for use under low light, eg. reading or using the bathroom. Additionally, a slight breeze towards the lamp will easily put out the lap, so it isn’t ideal for outdoor use. 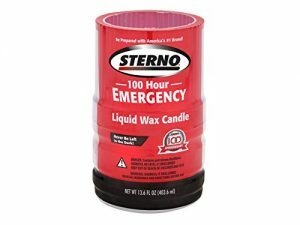 If you were looking for a candle that can perform just as well outside the house, consider instead picking our runner-up, the sterno emergency candle. This choice can burn for an average of 55 hours. It has a thick wick and produces a large bright flame that can’t be easily put out by a gentle breeze. The main drawback is that you’re going to have a lot to deal with because the melted wax gets everywhere since it lacks a protective casing. Melting wax shouldn’t be too much trouble to deal with though, all it takes is a saucer or plate and you’re good. Fire is great for cooking food, keeping your clothes dry, keeping you warm and even for using as a distress signal. All provided you can find a way to start it. A lighter or matches should be your primary pick because they are the easiest to work with, but you need to have a backup option just in case you run out or they get wet. It comes with magnesium firestarter. It can not only last for years with no deterioration in quality whatsoever, but a complete beginner will have no problem lighting a fire after just a few tries. The Friendly Swede is the best choice for two reasons especially. One, it’s consistently cited by Amazon reviewers as the best model to use, as compared to many others. Second, this model possesses a longer flint than other models, making starting a fire that much easier. The Friendly Swede won our hearts because it was, well, friendly to use. As compared to the UCO, it’s intuitive so you won’t struggle much while trying to get into the swing of things. However, if you’re looking for something with a more familiar feel to it, the UCO Stormproof Match Kit has the usual matchbox feel and can be lit when wet. They do take things a notch higher, however, because they will perform just as great in windy conditions and will burn even when doused in water. If you’re wondering why it has extra fuel that extends halfway down the stick to make all this possible. A fire-starter isn’t the only way to start a fire in an isolated, windy place, but if you’re dealing with conditions out of a survival camp guidebook, they might be that much more of use. 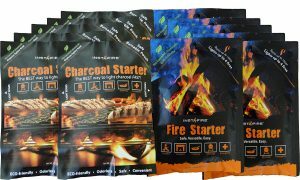 The Instafire Fire Starters are our top pick for the job because the material they are made of catches fire quickly and burns at a pretty decent temperature, staying lit for longer than the average times of most other fire starters out there. Consisting of wood wax and rock, it doesn’t emit any noxious fumes when it burns and it comes in enough pieces to get four fires or more going. The Weber Lighter Cubes are yet another perfect option, one for how highly they are regarded among experts and how affordable each individual pack is. They were originally meant for getting a charcoal fire going, so they aren’t as greatly specialized as the Instafire, but they are still great for both burning in a home furnace or getting a campfire started. You’re going to want to hear the latest news and get in touch with friends and family in the event of a natural catastrophe. But this can be tough if the electricity goes down. You should invest in some reasonably priced hardware that you could use to contact your loved ones until the local authorities can provide help in your neighborhood. If your local cellular grid or internet service goes down, your usual smartphone won’t be of much use. In such a situation, an old-school corded landline phone will let you call for help if needed. As long as the phone lines are up and fully operational, all your calls will be tied to your physical address, so first responders will be able to get to you if necessary. 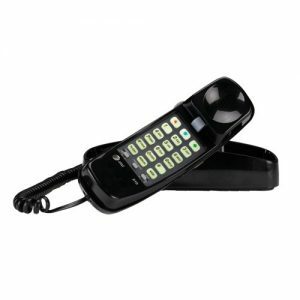 The AT&T 210M Trimline Corded Phone is a perfect choice if you’re lost on which landline phone you should get. It has a lighted keypad and a speed-dial memory function that will store 10 numbers of your choice. The Amazon reviews on this model are pretty solid, with 4.7 stars from over 2,000 reviews. The thought of getting trapped during a disaster is one that most people don’t want to even consider. Sadly enough, though, it happens, and there’s no way of knowing if you will be a victim or not. Screaming for help is one way you can do to get attention, but in the event of dehydration or extreme exhaustion, that won’t be a viable option. A high-pitched whistle will serve as a better tool because to add on, it can find its way through winds and the noise of a roaring fire. 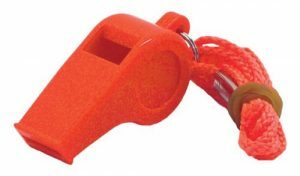 With those variables in mind, the Shoreline Marine Emergency Whistle makes it out on top because it’s possibly the loudest whistle you can get at an affordable price. It costs just $3 a piece and can reach a piercing 100 decibels on average. Aside from usability, it also gets extra points for its color scheme. It’s brightly colored and thus should be pretty easy to spot. If you ever need to use the international whistle code, one blast is to ask where the respondent is, two to say the person should approach and three signals the need for help. Each blast is supposed to last for three seconds. In case of an emergency, you’re going to need a way to keep up to date with the tragedy. 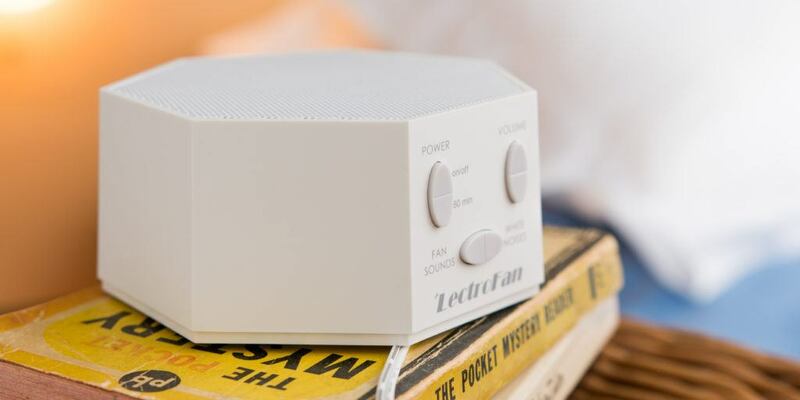 The perfect way to get that under control would be an emergency weather radio that can tune into AM, FM and NOAA channels, often referred to as ‘weather band’ and keep you updated when the power goes out. 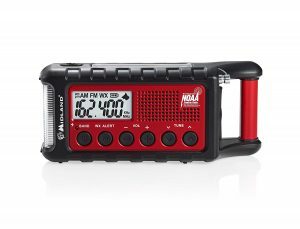 The Midland ER210 is an easy-to-use radio with all three weather bands and comes with a built-in audio-visual NOAA weather alert, and offers multiple ways to charge including USB output. The ER210 is lightweight, so it’s comfortable and easy to carry around, while still durable enough to withstand a generous drop. Usability-wise, it scores a solid 5 stars, because the backlit LED display is easy to read, the buttons responsive and it comes in such a way that it can’t accidentally turn on or off while not in use. When a weather alert is issued, the radio is loud. Plus it has a flashing display to make sure you notice it. However, even if you miss the weather alert, the memory indicator will flash every five second. So that you’ll know an alert has been issued. The Midland will operate either on standard AA batteries or a user-replaceable and rechargeable lithium-ion battery pack with 2,600 mAh of juice that can, in turn, be charged using the built-in crank, a solar panel or USB port. We may have already made it abundantly clear that a blackout during an emergency is as inevitable as heat in the desert. You can’t possibly fail to prepare for it. A power cut-off shouldn’t be able to keep you from calling for help if you own a car. If you do own a car, you can harness your car’s electrical system to run or charge a wide variety of the hardware you own at home. 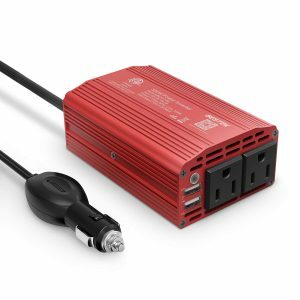 All you need is a power inverter. 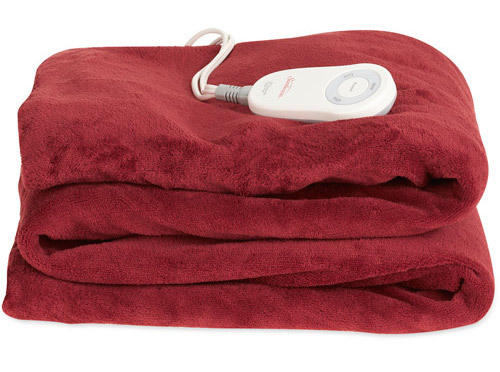 The Bestek MRI3011J2 is a cheap option that will work just fine with uncomplicated electronics like a lamp or to charge a phone. However, if you try to use it with a TV or laptop, you might face some issues with a flickering screen and may end up damaging your electronics. Go Power! 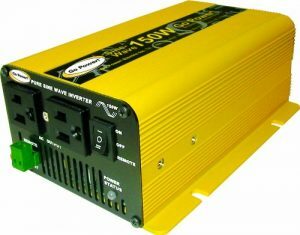 GP-SW150-12 Pure Sine Wave Inverter. If your primary concern is sophisticated electronic equipment like a TV or laptop, you’re going to cough out a bit more cash. Our advice, go for the Go Power. Though it does cost a lot more than the Bestek, it still remains one of the cheapest pure sine wave inverters you’ll be able to find out there without having to sacrifice quality. If you don’t own a vehicle and thus can’t run an inverter, you can always harvest the power of the sun to charge some of your gear. 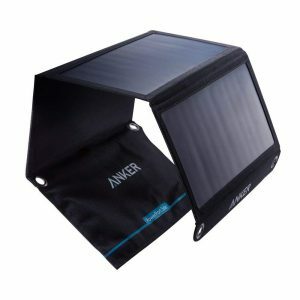 The Anker PowerPort is a solar charger consisting of two panels each about the size of a sheet of paper, just the right size for portability and capacity-wise. Anything smaller likely won’t be able to produce enough power to charge your gadgets, anything larger will be too expensive and bulky to carry and around, and way too expensive. At this size, however (it can fold up to just 11 * 6 inches and weighs just 13 ounces) it’s more suited for charging phones, tablets and portable rechargeable batteries rather than sophisticated hardware like laptops. A 24-hour charge should be just enough juice to charge your phone to full capacity. Even more importantly it’s sensitive enough to the sunlight not to be affected by passing clouds and will resume charging at full speed as soon as they are gone. Most options that you’ll get for a cheaper price are often poorly designed and take more time to get back in pace. Most people prefer to use cost-effective rechargeable batteries. Especially batteries that are friendly to the environment. But the problem with regards to context is, during a disaster, rechargeable batteries may not be that useful if the power is cut out. 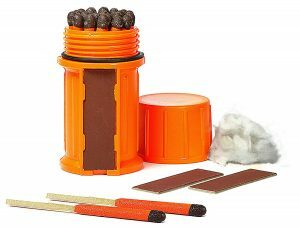 It wouldn’t hurt to have a few disposable batteries at hand, for those situations that find you completely unprepared. 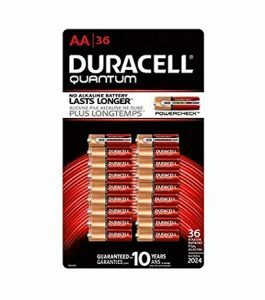 If you have to resort to them, the Duracell Quantum batteries are a solid choice. Not just because they are the highest rated alkaline batteries by Consumer Reports, but in our experience, it acquires several concurring reviews on Amazon. They are perfect for use with a variety of household tools, and have a shelf life of 10 years, much longer than most other alkaline batteries out in the market. 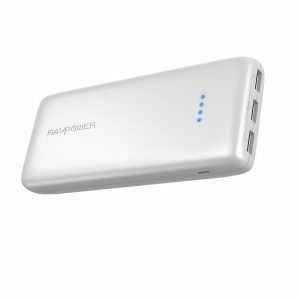 With a high-capacity USB battery pack, you can keep all your devices powered for several days without having to worry about recharging. The RAVPower Ace offers high-speed charging and comes with a higher capacity than most other options out there, with two USB ports and alternating-priority charging. It will prioritize whichever device is plugged in or charge at a similar rate for both of them. The 22,000 mAh capacity is enough to charge a normal smartphone every night for a whole week, and when recharging is eventually needed, it charges back up just as fast. It’s quite easy to fit in a backpack or purse, too, so it wins more points for portability. 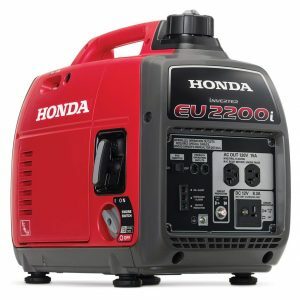 If you need an inverter for generating power while you’re on the move, for instance, while camping, working outside or tailgating, the Honda EU2000i is the best portable generator for the job. It comes as our first choice because it possesses a power output that will allow it to handle even the highest of demands as compared to most of its competitors. Besides which, Honda is already a well-known brand for their cars and generators, so it comes with a great reputation and high expectations to meet. It stands apart, despite its somewhat average performance, especially sound-wise. It produces quite some noise, but if you’re willing to compromise that for reliability, which is quite crucial for emergency situations, this should definitely be your number one choice. Most of the items featured in this category are everyday household items that double up as important tools to have during a sudden emergency. These include duct tape and an atlas which, are pretty handy to have in real life. But it will also help you a great deal if you’re experience a situation where you are away from immediate help. Propane is highly flammable, a risk you don’t want to put yourself or anyone around you in. If you sense evidence of a gas leak after an earthquake or otherwise, the first thing you should do is to locate the gas leak and turn it off. To do that, you’re going to need knowledge of two simple things: find out where your gas valve is and how to use a wrench. Turning off the gas supply should be relatively easy. All it takes is a quarter turn of the metal gas valve from the vertical to horizontal position, and you should be in the clear. Most valves are built in a way that it should be possible to use a 12-inch or larger adjustable crescent wrench. If you already own a crescent wrench, keep it close to the gas valve in a waterproof Ziploc bag. If you don’t, or otherwise prefer to keep it in your toolbox where it will be secure, consider instead purchasing a dedicated shut-off tool. The On Duty 4 in 1 was designed by firefighters in 1989 after the San Francisco Bay Area Prieta earthquake and is the recommended tool for CERT emergency preparation classes. 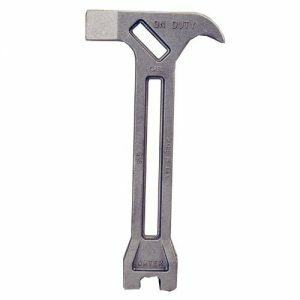 This 11-inch aluminum tool is both durable and rust-proof, and as of great importance when selecting a wrench for shutting a gas leak, it doesn’t spark when hit against a wall. If you’re planning on stocking up gasoline for later use, don’t. Motor fuel is highly volatile, not just flammable. A little more disturbance than necessary, even for the smallest quantities, and the whole thing goes up in flames. This should especially note for those who store extra gas in their vehicles. If there’s no other choice, like in case you need to store a few gallons in a safe corner away from your house, and even further from electrical equipment or anything similarly likely to spark a fire, you could begin to consider it. 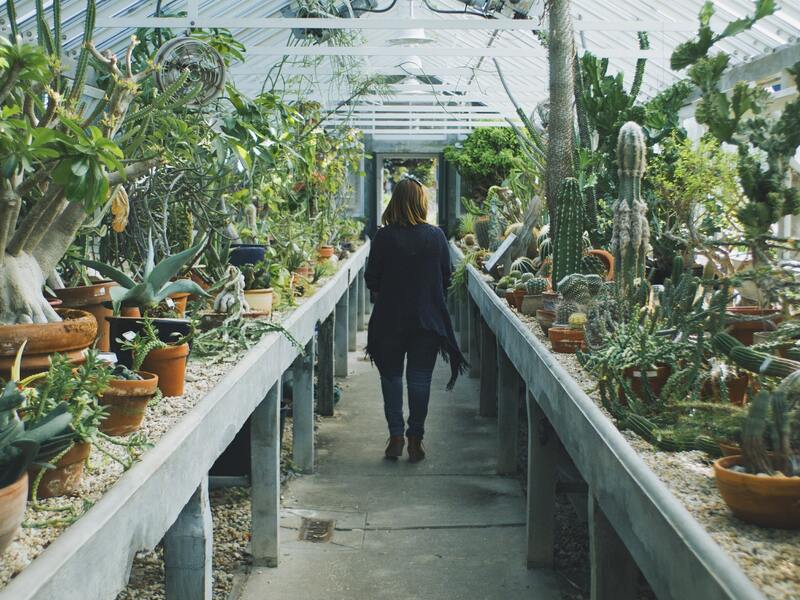 If you’re sure you’re going to be extra careful, there’s one last thing to worry about. Gas loses its potency with time. That’s why if you’re planning to store supplies make sure preserve them using additive products. You should rotate your gas supply at least once every year. With all that said, it’s still a great idea to have an empty gas can around your car.Whether full or empty, the gas can should be both leak-proof and easy to handle. Due to federal antipollution standards, most gas cans have cumbersome spring-loaded trigger valves that keep gas fumes from escaping. Sadly enough, these kinds of cans are difficult to handle and pouring from them without spilling is quite the pain. The 2½-gallon plastic No-Spill should be, in our opinion, a good fit for most people, because like it’s named, it has an approved and patented nozzle design that fits the standards perfectly; just push a button and pour. It also has a fuel window that lets you see how much gas is remaining, a handy feature to have. 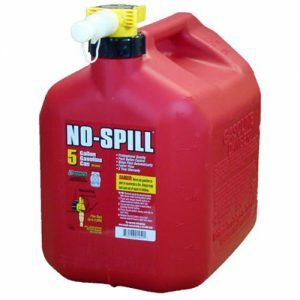 For people who still insist on storing gas, the No-Spill might not be the first thing that should come to mind. The NATO Gas Can be more fitting for these types. 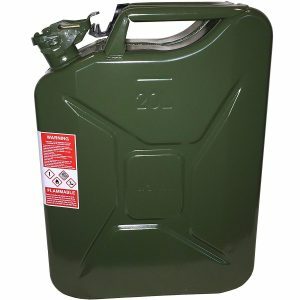 Commonly referred to as the ‘Jerry Can,’ this gas can was designed to meet military specifications and is much better for storage and move around fuel frequently, the main reason it’s so popular among vehicle enthusiasts. Though designed differently from the No-Spills nozzle, the Jerry Can’s nozzle is a bit more obtrusive, but the basic mechanism that prevents leaking is the same. The design principles followed to make it a bit harder to use than the No-Spill, so if you decide on it, get a real Lithuanian-built Wavian. Duct tape should be your number one choice for mending and binding when no other tools are available. 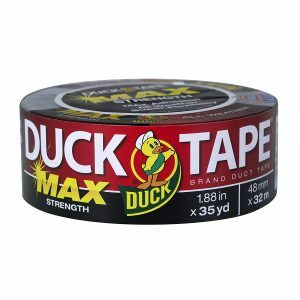 The Duck Max are some of the best overall duct tapes you can find, both for general use and for specialized purposes. They are made of waterproof polyethylene with a natural rubber adhesive on the underside, making them perfect for pretty much any surface. 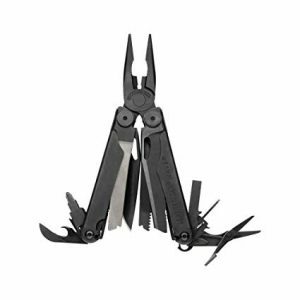 The Leatherman New Wave is both small enough to be worn on a belt or tossed into a bag, making it the perfect choice for portability. 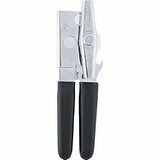 It comes with pliers (needle-nose and regular), regular wire cutters, hard-wire cutters and just about everything you’re going to need in an emergency repair situation in or outside the house. Chances are very high you’re among the 76% of the population that owns a smartphone and relies on the built-in GPS receiver to get you around places when you don’t know where you are. As happens in most disasters, the power could be out and the connectivity cut short. In such cases, Google Maps won’t be of any help. That is unless of course, you downloaded the maps for offline use. But that’s not a guarantee for most people, so you might as well looking for a gun that isn’t brimming. What’s more, once you run out of power, you’re pretty much in the dark. To get around that, you should have an old-fashioned physical map on your person, in your car or somewhere close, where it will be easy to access. If you live in an urban area littered with highways, the Rand McNally EasyFinder maps are an excellent first choice. They are easily available for all US states, Canadian provinces and all major cities in North America. Each map is contains information regarding street, rural, highway and interstate information. It also details locations of important buildings like hospitals, schools, and religious institutions. All of which are potential rally points during a disaster. They are also resistant to damage by UV light and laminated such that they are fold and tear-resistant. You can use them in wet conditions or write on them with a dry-erase marker without having to worry. Of course, humans don’t come with a built-in magnet, so there’s no way of you deducing direction, even if you’re lucky enough to get your hands on a quality map. That’s exactly the reason why compass come into existence. 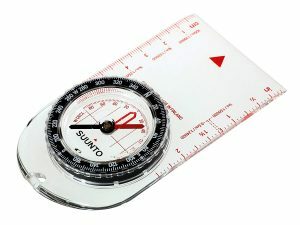 Our recommendation for best survival compass is the Suunto A-10. It’s an inexpensive, scratch-resistant compass with everything a novice will need to stay on marked trails, around city streets and areas where there are lots of landmarks. It even comes with a simple guide of how you can use it together with a map. If you live in flatlands or relatively drier areas, sudden downpours will bring with them the heightened risk of flooding and mudslides. Since it’s too late to plant trees, the only way to control the floodwaters will be to stack up sandbags at the doorways and garages. There are lots of different types of bags you’ll find if you go out searching, some for as cheap as 40 cents a bag. However, if you don’t have a ready source of sand, those cheap bags will cost much more in time and effort in the long run. If you are such a person, likely residing in city areas, you should get a compact, lightweight bag. But make sure they are capable of absorbing and blocking water. Such sandless bags are often consists of sodium polyacrylate instead, which is a hyper-absorbent polymer. Quick Dam Sandbags are an example of these. Keep in mind that just like regular sandbags, these aren’t ideal to last and you need to throw them after a few months. Additionally, the polymer filling inside them is ineffective against saltwater. 1. Class A fires are normal fires from combustible items like wood or paper. 2. Class B fires are fires that result from combustible liquids or gasses. 3. Class C fires are those that result from an electrical fault. 4. Class D fires are fires that result from metals like sodium, magnesium, potassium, lithium or titanium. 5. Class K fires are as a result of fats and greases. Of all these types, only the class A fires can eliminate with water. However, using water in any of the others will only make the situation worse. Hence the need for a fire extinguisher. 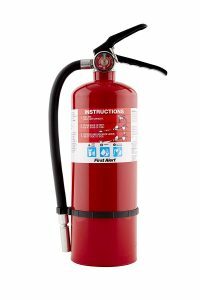 Now that you already know what a fire extinguisher is for, and in that case, already realize how important this piece of equipment is when it comes to an emergency situation. The First Alert PRO5 is quite advantageous, even beyond the most common types of fire extinguishers that are only effective against specific types of fires. It can extinguish fires from all classes mentioned above. It comes with additional advantage of being sturdy and reliable, being made out of metal, which extends to even the valve (plastic models aren’t reliable and are prone to break upon repetitive use). However, if you’re a stickler for the rules, this model exceeds the minimum size recommendations by the NFPA. But still weighs a manageable 10 pounds. Despite its size, though, you can still refill it for nearly half the price of a new extinguisher. With all this talk of disaster and supplies to ready you for impending danger. There’s one crucial thing that mustn’t be forgotten. You’re going to need somewhere to store all those supplies you buy. So you’re ready to go if/when the time comes. However, where you store your cache depends a lot more on the area you live in and the kind of risk factors you’re exposed to than anything else. For instance, if your area is predicted to face hurricanes, you shouldn’t have any trouble storing your supplies in the garage, outside in case of earthquakes and anywhere but the basement in the event of possible flooding. 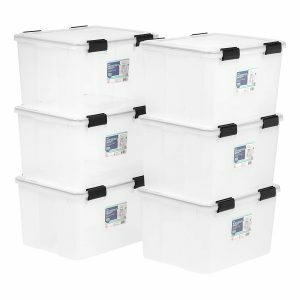 Water-resistant bins are a personal favorite because they can be stored outside, unlike most other bags that will get soaking wet and possibly damage some of your equipment in the process. For this purpose, the Iris Clear Watertight Tote is the storage container we could recommend, both for its water-resistant properties and impact-resistant capabilities. It also comes with thick hand grips that make it pretty comfortable to carry, and the sides are stiff enough to resist bending and breakage whether empty or filled chock full with content. It also comes with a six-latch locking lid, which, thanks to the bag’s great overall design, is also impact resistant and won’t be forced open by the sudden shock of being dropped. That’s an important feature to have if you plan on storing food or electronics in there for week, months, maybe even years on end. Though not that important a feature, this model comes with a clear plastic option. This will allow you to see what’s inside. 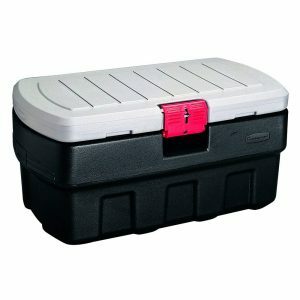 Also, it is big enough to store all of your emergency gear, with some room to spare. However, if you want to store extra food and water, you’re going to have added one more bin. If getting a second bin just isn’t an option for you, or you’re simply afraid of spending twice the amount on the same product, you can get the larger, burlier option. The Rubbermaid 1191. At 132 liters (36 gallons), it comes at nearly twice the size of the Iris. It is heavy-duty enough to serve as a place to sit down on when you get weary. If you’re anxious about theft you don’t have to worry. Why? Because it comes in such a way that you need a cable or padlock to lock it. It does have some drawbacks, though. The added size also comes with additional weight. Furthermore, it comes in at 16.3 pounds, giving it negative points for portability and it’s opaque. Thus you won’t be able to see what’s inside it from the outside. Ideally, this is great for those situations where the disaster causes you to have to flee your house and relocate. Let’s say a hurricane or wildfire, you could throw all your supplies, food and all, into this bin and make a run for it. You’ll be in good hands. The easiest way to get ready for an emergency is rushing to your closest hardware store and picking up a ready-made emergency kit. The problem with these, is that the sum of their components is not worth the money. Most kits you’ll come across will vary in price. All the way from $60 to $500. They are mainly consists of the same individual items. All the way from water to food bars and protective gear and radios, which is where the main problem comes in. It wouldn’t be right to say that the kits themselves are bad, per se. But it’s rather the individual components that are often below par. This includes cheap collapsible water containers and poor quality duct tape. Even worse, the food bars that are usually comes in these kits are usually so bad. They aren’t anything you want to be eating. Unless you were literally on the verge of starving to death. You can find some ranging into thousands of dollars. But we aren’t so sure everyone has that much money to spend on components that will need regular replacing, to begin with. Well, having a pre-made kit is better than having nothing at all. But for the amount of money they cost, you’re better off buying each individual component yourself. Then assemble your own kit with consideration for your family’s needs.